Ace Frehley Ready For Another KISS Reunion? A tribute to Eric Singer of KISS. Someday I want to be just like him! I replaced the solo with a drum solo and the ending is also in Eric style. 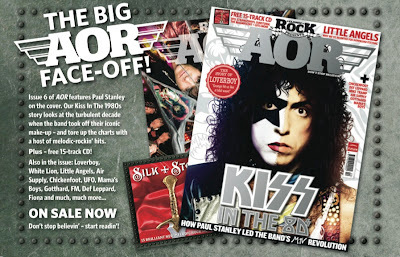 Here is the latest issue of 'Classic Rock Presents AOR' featuring KISS in the 80's with Paul Stanley on the cover. 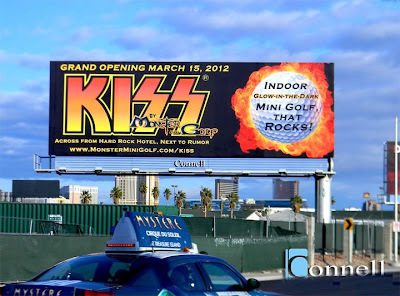 Here's a photo of a KISS by Monster Mini Golf billboard in Las Vegas. Monster Mini Golf is an exciting indoor monster themed glow in the dark 18 hole miniature golf course that offers a host of fun activities at every turn. The grand opening is March 15, 2012. 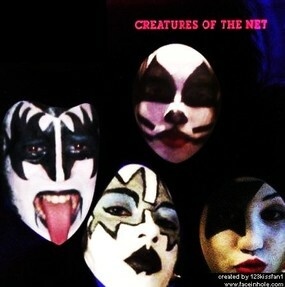 Check out this ad for a Dutch phone company using the costume and make-up of KISS' Gene Simmons. It’s the Les Paul that launched a million guitarists: the 1974 Cherry Sunburst three-pickup Gibson Les Paul used by Ace Frehley during KISS’s breakthrough era. The guitar, known as the Budokan Les Paul in honour of the historic Japanese venue where it was given one of its best-known public showings, left Ace’s stewardship a few years ago, and it was long since retired from the road. 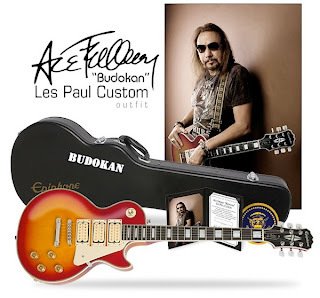 But now it’s back, in spirit at least, in the form of Gibson Custom’s new Ace Frehley “Budokan” Les Paul Custom. This limited edition instrument will be available in four versions: fifty signed guitars aged by Tom Murphy in the Gibson Custom Shop; one hundred aged (but not signed) pieces; a further 150 finished with Gibson’s VOS (Vintage Original Spec) process; and 1000 pieces of an Epiphone version which retains most of the design features of its Gibson big brother. Ace took some time to talk with I Heart Guitar about the new guitar, the 30+ year old classic it’s based on, and his future plans. KISS frontman Paul Stanley was a guest at Elton John's 20th Annual AIDS Foundation Academy Awards Viewing Party last night (Feb. 26) in West Hollywood. 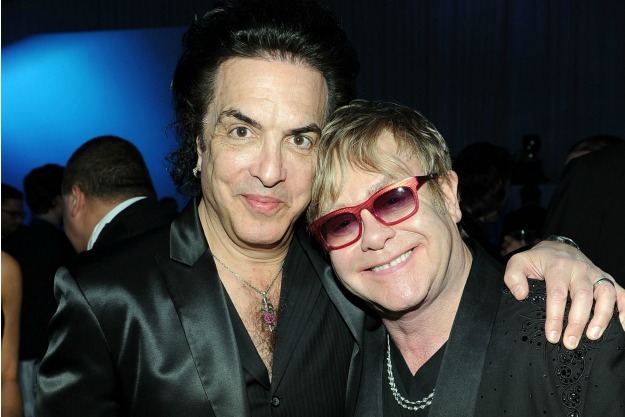 The event raised more than $225 million for HIV/AIDS research. Abe Lincoln In KISS Make-Up? 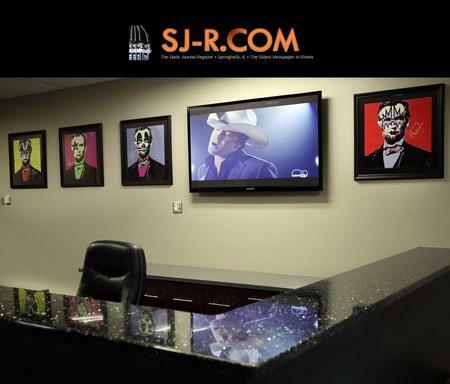 The administrative offices of the Prairie Capital Convention Center are open once again, sporting a new look after renovation and adorned by reminders of past shows -- including four framed depictions of Abraham Lincoln wearing KISS makeup. Each of the pictures, displayed just behind the front desk that greets visitors to the second-floor office suite, is signed by a member of KISS, which appeared at the Center in July. Already, inner offices are adorned with posters from past events. Brian Oaks, general manager of the PCCC, said more decorating will be done with autographed guitars and concert posters. “Part of what we want to do instead of using more traditional artwork is use all those pieces of memorabilia,” Oaks said. 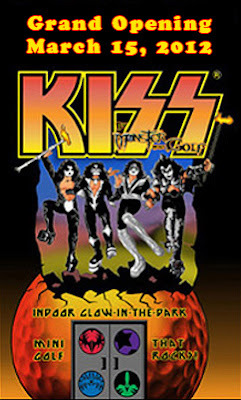 The idea of making posters of Lincoln with Kiss makeup came from Jenny Vaughn, the convention center’s box office manager. Two sets were put together using photo technology by Kathy Alcorn, former concessions manager, Oaks said. Oaks said band members plan to donate the second set to raise money for a charity that helps veterans. KISS are known worldwide for their distinctive visual presentation, most notably their faces. For nearly 40 years, KISS have made some striking visual changes… some subtle, some less-so… and they’ve ignited passionate responses from fans and detractors. 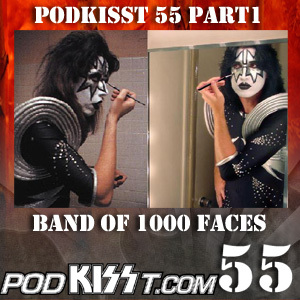 On this edition of PodKISSt, we present part 1 of an in-depth discussion about the men, music, and makeup of KISS. So put on your warpaint and grab your guitar! Special thanks to Thanks to Benn Prybutok and Ben Litman. It’s time for another PodKISSt… the KISS fanzine for your ears! On COTN Episode 35, Cassius will spin the 15 songs that will turn a casual KISS fan into a diehard. This playlist covers all eras of the band and is not your typical "best of" setlist. KISS In The Studio Recording "Sonic Boom"
Video of KISS in the studio working on 2009's "Sonic Boom" album. As a 2012 precaution, KISS Nation should demand the boyz seal these ten Gene master strokes up immediately in a time-capsule. I cannot put them in any order of import; no mere mortal could possibly extrapolate such calculations, not safely anyway. WAR MACHINE – Creatures of The Night - This may have in fact have been recorded “On The 8th Day” because it is freakin’ god-like rock. The intro guitar riff is a couple of light years ahead of its time; hard to believe songsmith Bryan Adams could have had anything to do with the song, but he did. 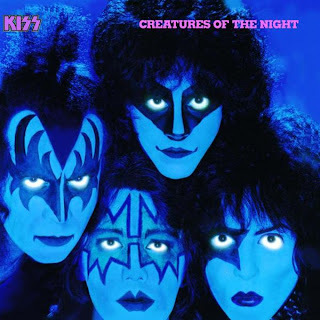 Gene’s growl says get the bleep out of my way or get run over by the biggest drums on earth, ever (thanks Eric Carr) and stands as a testament to Gene’s mastering of the ‘monster plod’. When he sings “draw the battle lines” it’s so evil, so infectious, that I literally wish to rule the world briefly. Terrifying. The gut-check guitars in the verse and the sheer space allowed for the drums to resonate ’till the next A-chord bruises another rib is downright primal. If “War Machine” doesn’t get your blood boiling you probably have never ‘rocked’ anyway. While we’re at it, it bears mentioning that there isn’t a bad track on Creatures; get it. 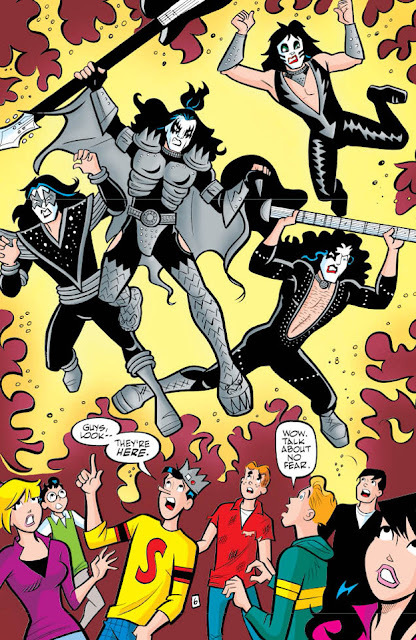 Review Of "Archie Meets KISS" Part Four "Shout It Out Loud!" Note : This review is for the digital version of the comic available from Comixology. Summary (contains spoilers): The last issue ended with things looking pretty bleak for the kids from Riverdale. Four monsters had pretty much sucked all the fun out of town, and laid a serious beat down on Archie and his friends. Sabrina the Teenage Witch managed to cast a spell convincing the monsters that Archie and his friends had all been turned into fun-hating zombies, giving them time to get away. KISS seems to consider this a losing battle, and tells the kids to sit it out, while KISS made a final stand. Pop sensation Lady Gaga sporting Paul Stanley's famous "Starchild" make-up during a photo shoot with photographer Terry Richardson. Charlie Sheen, rock stars announce Costa Rica concert for May 3. If you ever wanted to see Charlie Sheen, Gene Simmons and former members of Guns N’ Roses perform together – well, apparently it can happen in Costa Rica. At least 11 “Rock and Roll All-Stars” will play Ricardo Saprissa Stadium, in the northern San José district of Tibás, May 3 at 8 p.m. in a wild and wacky, fantasy camp-style show, Brunka Producciones announced Thursday morning. Notorious TV and movie star Charlie Sheen will be the event’s master of ceremonies. The show’s glut of glam metal and heavy metal performers is straight off the walls of a male teenager’s room in the mid-1990s – except for Ed Roland of the post-grunge Collective Soul, whose presence only adds to the concert’s oddity. Sorum, the lineup’s lone drummer, is the architect behind the show. The arrival of three former Guns N’ Roses members, including original bassist McKagan, should please the country’s plentiful metal fans. In 2009, Guns N’ Roses planned to play Costa Rica for the first time ever, but erratic lead singer Axl Rose canceled the concert after his crew deemed the stage unsafe. Tickets go on sale March 3 through www.specialticket.net and Servimás outlets, Bansbach stores and Insomnio stores. Prices range ₡14,000-₡44,000 ($28-$88). Details about a world tour, and how exactly all these personalities will fit on one stage, will be given at a press conference in Los Angeles at the beginning of March. More guest stars – yes, there’s room for even more – could be announced in upcoming months. The trip to Latin America represents the South America leg of the tour, although so far the only set dates are in Central America (Guatemala on May 1 and Costa Rica). Organizers are expected to announce stops in Brazil, Paraguay, Peru, Argentina and Chile. 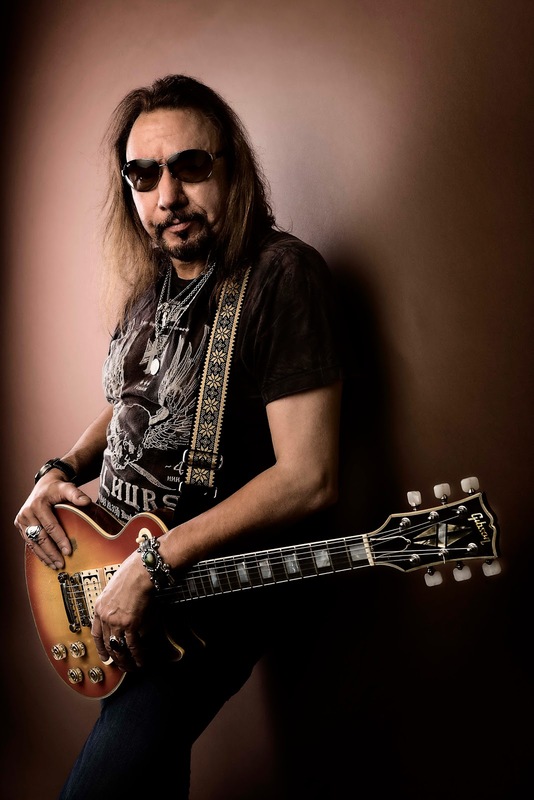 It doesn’t smoke or fire rockets, but original Kiss guitarist Ace Frehley has told Classic Rock that his new Gibson Budokan Les Paul Custom gets “amazingly close” to the original he rocked in the golden era. Unveiled at the NAMM trade show in January at four price points (from £9,699 for Gibson’s Custom Aged to £599 for the Epiphone equivalent), the limited run includes 50 high-end models signed by the Spaceman himself. Hello everyone. I just finished up the Presidents Day Weekend Hollywood Rock N Roll Fantasy Camp, and all I can say is this one shaped up to be one of the most memorable. As you all know, the camp has special guests and there is tons of jamming, rehearsing, and just doing all the things an aspiring musician loves to do. So here's a recap of these 5 busy days. The camp started on Thursday, and after the counselors did a 2 hour rehearsal for our performance later that night all I could remember was how hard "Roundabout" by Yes is to play! And I was asked to help out on that song as Alan White, who has been with the group since 1973, was also a counselor. Quite exciting even attempting that masterpiece. 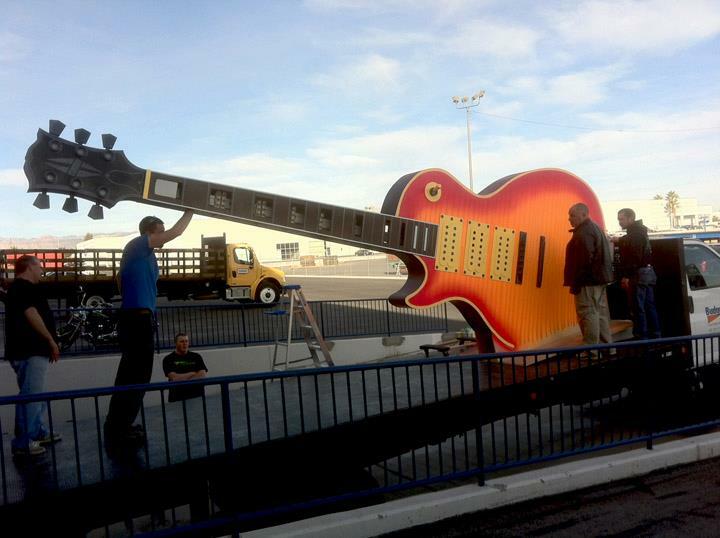 The first of 3 big trucks being loaded to head from our prop shop, down Las Vegas Blvd..to KISS by Monster Mini Golf! The ROCK parade is about to begin! 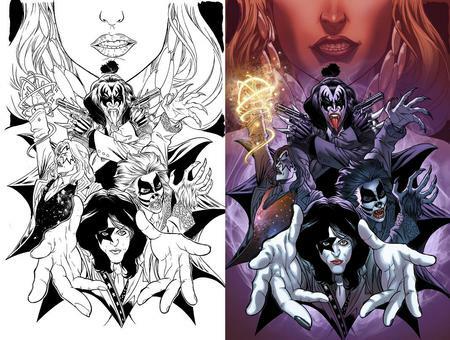 Here's another sneak peek of the upcoming KISS Comics. Las Vegas Philanthropist Hosts Star-Studded Evening. Dollar Loan Center CEO Chuck Brennan pulled out all the stops at his annual company holiday party recently. Bringing in his famous friends from around the country, the business owner and philanthropist helped raise nearly $300,000 for charity while giving 500 employees and guests a night to remember including $250,000 in cash and prizes. "If there is a 'best boss in America' award, Chuck Brennan deserves it," said Shon McKee, senior manager for Dollar Loan Center. "We got to experience an evening we will never forget and truly live like rock stars for the night." Brennan, a long-time rock music lover and former music industry executive, opened the evening with The Doors' Robby Krieger playing "LA Woman," followed by "Roadhouse Blues" with actor Val Kilmer, who famously portrayed Jim Morrison in the 1991 movie about the iconic band. 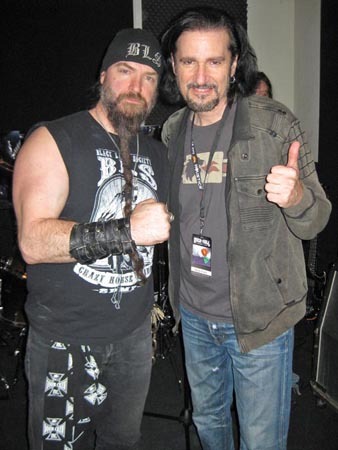 Brennan then introduced comedian-musician Gary Mule Deer, who entertained the audience before they were treated to a musical set that included rock legend Alice Cooper, Jack Blades of Night Ranger and Mick Fleetwood of Fleetwood Mac. 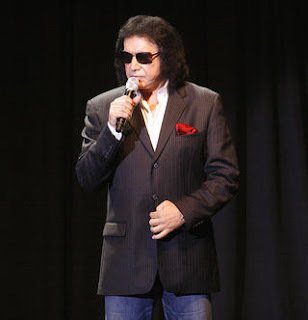 The trio was accompanied by rock music legends Tommy Thayer and Eric Singer of the band KISS while Gene Simmons and Paul Stanley cheered in the audience. Brennan is long-time friends with the band and can always count on KISS when it comes to help raising money for great charities. "It was an incredible, star-studded evening and I'm thrilled that everyone had such a good time," said Brennan, "To be able to raise nearly $300,000 in a matter of minutes is very humbling." Over $200,000 of the donations are going directly to Alice Cooper's Solid Rock Foundation. The Phoenix based, non-profit organization provides programs and resources for at-risk teens. "Chuck and his wife Mary are our biggest contributors and this event is absolutely amazing," said Cooper, "They need to televise this event each year so everyone can witness it!" During the evening, Brennan also announced a $20,000 donation to St. Jude's Children's Hospital in the name of Robby Krieger as well as a $10,000 donation to Rupert's Kids, the nonprofit organization founded by Survivor's Rupert Boneham who was also a guest at the event. Throughout the evening, famed "Speed Painter" Rock Demarco showcased his talents with artwork that was created live at the event and auctioned off for more than $100,000. "And of course Dollar Loan Center employees got their own surprises during the evening," said Brennan. "Gene Simmons, Paul Stanley, Tommy Thayer, and Eric Singer helped me give away four brand new KISS Mini Coopers to our staff" said Brennan. "Everyone walks away happy at our annual celebration. The prizes ranged from $100 in cash to a new car!" The company has posted a 5 minute highlight video on the Dollar Loan Center YouTube page for public viewing. Dollar Loan Center is a premier provider of payday loan alternatives in 50 locations throughout Nevada, South Dakota and Utah. Brennan, the company and its employees gave over half a million dollars last year to charitable organizations across the country. Dollar Loan Center is the largest provider of short term credit services in South Dakota and Nevada. In 2007, Entrepreneur Magazine listed the company among its "Hot 500" Fastest Growing Businesses and Entrepreneurs." For more information, visit www.dontbebroke.com. Meet Jett, the coolest little KISS Fan. Jett had a chance to tour our Prop shop and see Gene's head in the making. Wait till you see what this giant head is going to do! Just one of 18 KISStastic Monster Mini Golf props debuting on March 15th! Here are some of the most recently approved KISS merchandise items. Look for them to be released in 2012. Stay tuned to KISSOnline for release updates. KISS Destroyer Puzzle, Love Gun License Plate, KISS Band Magnet, KISS Destroyer Seat Cover, KISS Band Clock, KISS Band Poster, Starchild Sunglasses, Spaceman Sunglasses, Catman Sunglasses, KISS Mini Build-able Action Figures, Demon Axe Purse and Tongue Baby Pacifier. Buy tickets in the KISS Army ticket pre-sale now! “You wanted the best, you got the best, the hottest band in the world, KISS”. SONISPHERE festival is KISS’ invitation to have the best time of your life with long lost friends such as the anthemic 'Rock N Roll All Night', the jubilant singalong 'I Was Made For Lovin' You' and the rallying cry of 'God Gave Rock N Roll to You'. We would ask you to lock up your daughters, girlfriends and wives, but with Gene Simmons in town, it's pretty clear there's no stopping them. And if you can't fight them, join them at their only European show of 2012. 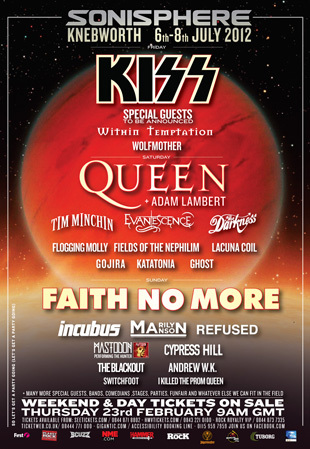 SONISPHERE KNEBWORTH takes place July 6th - 8th at KNEBWORTH HOUSE. The three-day festival also includes performances from Queen, Faith No More, Evanescence, Marilyn Manson, Incubus, and many more. Public tickets will be available at www.sonispherefestivals.com at 9am on Thursday, February 23. 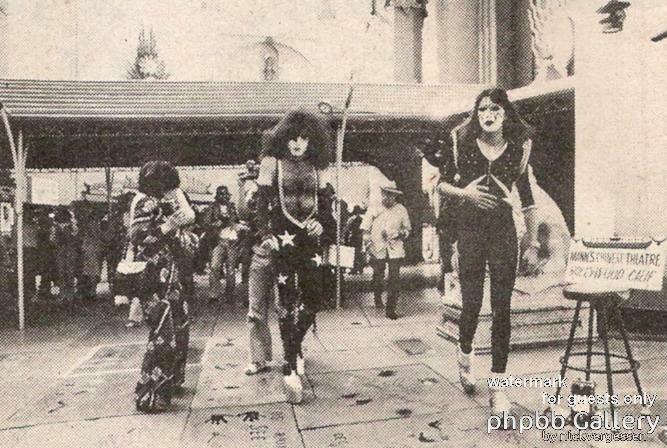 Today In KISStory - February 20, 1976: All Four Members Of The Original KISS Line-up Had Their Footprints Implanted On The Pavement Outside Grauman's Chinese Theatre In Hollywood, CA. Here's a first look at the cover of a new KISS comic that will be out this year. 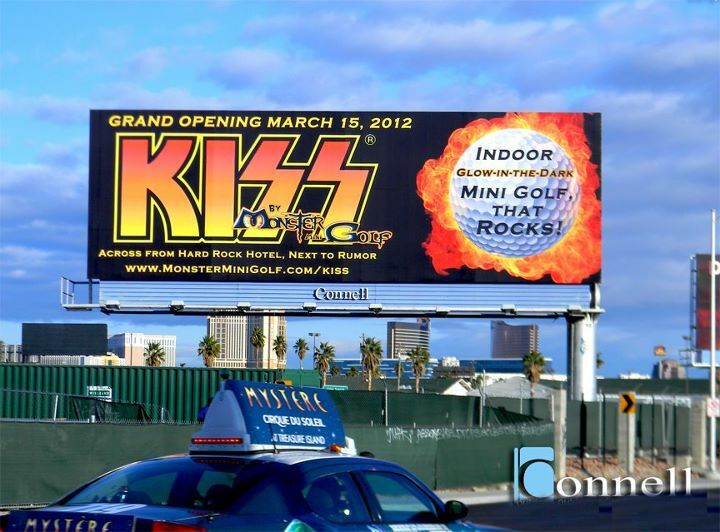 Scheduled to open on March 15, 2012, KISS® By Monster Mini Golf® is the first of its kind and will include: an indoor glow-in-the-dark custom-designed, rockin' 18-hole miniature golf course, a state-of-the-art arcade, the largest KISS® gift shop in the world, a KISS® Gallery, "Hotter Than Hell" Wedding Chapel, a private VIP Room, FANtastic KISS® themed event rooms and the "Rock 'n Roll All Nite" Snack Bar. Add…a live emcee who will rock the house, to create a place embraced by locals, tourists, and rockers of all ages. Destined to be the ultimate entertainment center in Vegas, we are now hiring for all positions!!! Please download our online application and print. order to receive an interview. Open interviews scheduled for Tuesday, February 21, 2012 from Noon-9pm at KISS® by Monster Mini Golf located at 4503 Paradise Rd. Las Vegas, NV (Corner of Harmon and Paradise, next door to Rumor Hotel, across from The Hard Rock Hotel) ***We will be set up for interviews in the vacant store next to our location in the same plaza. Ever since I since I discovered Kiss in the 70′s, the design and packaging of the albums and merchandise have always fascinated me. And the ‘magic world’ of illustrations and typography It showed me had a lot to do with my own choices later in my working life. So It’s a real pleasure to be able to publish this interview I have done with the Kiss design ‘mastermind’ in the 70′s and 80′s, Dennis Woloch. It’s a dream I have had since I read the great interview he did with the ‘Kiss This’ fanzine in the beginning of the 90′s. And thank you very much Dennis for being to willing to answer these questions. You have made my day. Q. Tell us a little about your background and what kind of work you did for you did for Howard Marks before you started working with Kiss. I was the Art Director at Howard Marks Advertising in New York for 22 years. Eventually I became the VP/ Creative Director. As an art director, my job is to come up with concepts for the project at hand, then design it and do the layout. If the job calls for an illustration or photograph, it’s the art director’s job to select the right person for that particular project. You bring it to life. Some of our clients were Wall Street firms, Women’s shampoo, Cosmetics and Diaper Services (they competed with disposable diapers) So my experience and challenges were all over the place. We also had a greeting card Company (American Greetings) for a client. We did a large project which used pop star music celebrities, their photos and lyrics to some of their music on posters and greeting cards. I was getting experience in showbiz. We had so many projects and clients that I could not remember 5 percent of what we did in those days. We were busy. Q. You saw Kiss before you started working with them. What was your first impression of the band and how did you end up working with them? We were an advertising agency. I was art director/ creative director for lots of years and we became involved with KISS because my boss knew Bill Aucoin through the advertising business because Bill Aucoin was a director. He used to do commercials. So we used to go down to this place where Bill Aucoin worked and we would edit and shoot various commercials for various clients for the agency. 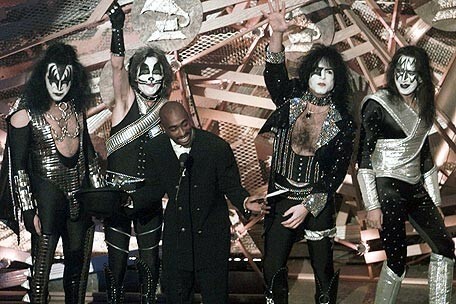 And then Bill got involved with KISS. Bill sublet some office space from Howard. So he was up there, you know, down the hall in the office right next to my boss’s. So he was there all the time. 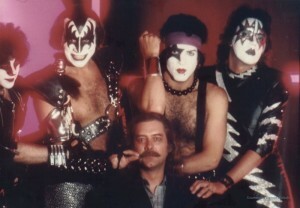 Before KISS he branched out and he wanted to be a freelance director and not be tied to the company he had worked for. So he Partnered with my boss and they formed a company called Direction Plus to do TV-commercials and advertising. Then he got involved with KISS and of course we were right there at the beginning. We saw the guys. They used to hang around the office. And when I saw one of their their very first rehearsals, which was in some little room somewhere… I thought they were very outrageous, kinda scary.. they went out and did their first three album covers without us. They just went out and did them because, you know, we were an advertising agency and you don’t usually associate that with the record business at all. It’s kind of a separate kind of thing. So they did their first three albums the usual way, however that’s done, through the record company. Bill walked into the art department one day and said…I’m managing a new band and they wear this make-up but they put it on in a amateurish manner. Will you come to their first album photo shoot and help put the make-up on in a more professional way. I thought for a second and then I suggested a better person (as an art director that is the way I think.. the correct person or talent for the job). I suggested David Byrd who is a great illustrator and I knew him because I had used him on other jobs. So David and a couple of assistants went to the photos shoot and did the make- up. He invented Peter’s silver nose. I was there and watched. I did some small design jobs for the band after that but when It was time for their fourth album Bill asked me to design it. And I did every album in a row after that until 1988 “Crazy Nights”. Comic legend and television personality, Andrew Dice Clay, showed off his intense appeal this weekend in the official KISS® boots that are currently touring Las Vegas in celebration of the upcoming opening of KISS® by Monster Mini Golf®. 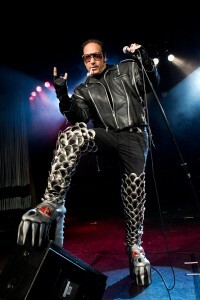 Andrew Dice Clay sported the famous boots during a photo shoot at Riviera Hotel & Casino. On the heels of the announcement for the grand opening of KISS® by Monster Mini Golf® taking place on March 15, 2012, the KISS® boots have been brought to Vegas for a limited engagement throughout the city. KISS® By Monster Mini Golf® is the first of its kind and will include an indoor glow-in-the-dark custom-designed, rockin’ 18-hole miniature golf course, a state-of-the-art arcade, the largest KISS® gift shop in the world, a KISS® Gallery, “Hotter Than Hell” Wedding Chapel, a private VIP Room, FANtastic KISS® themed event rooms and the “Rock ‘n Roll All Nite” Café. Today In KISStory - February 18, 1974: KISS release their self-titled debut album. When it was released, KISS had been a band for a little over a year. Much of the material on the album was written by Gene Simmons and Paul Stanley, as members of their pre-KISS band Wicked Lester. Simmons estimated that the entire process of recording and mixing took three weeks, while co-producer Richie Wise has stated it took just 13 days. 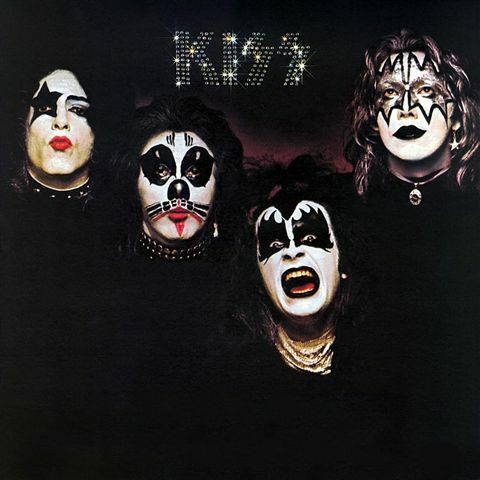 KISS sold approximately 75,000 copies after its initial release, without the presence of a hit single. It was certified Gold on June 8, 1977, having shipped 500,000 copies. 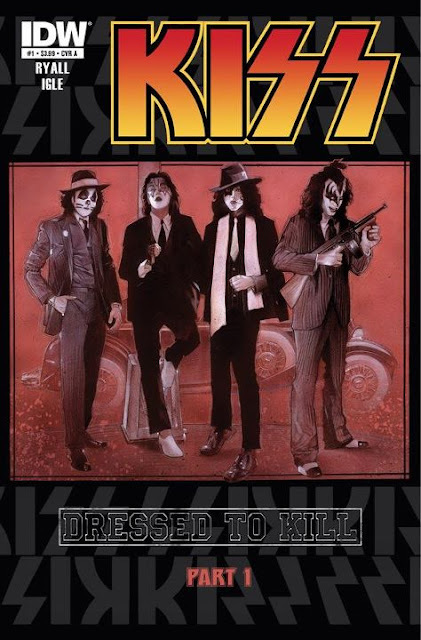 The album was re-released in 1997 (along with most of KISS' earlier albums) in a remastered version. 1:00pm ~ The party kick's off in our parking lot with a day of FREE events featuring the WINNER of the World's Best KISS Tribute Band Contest: "Mr. Speed" performing live throughout the day! 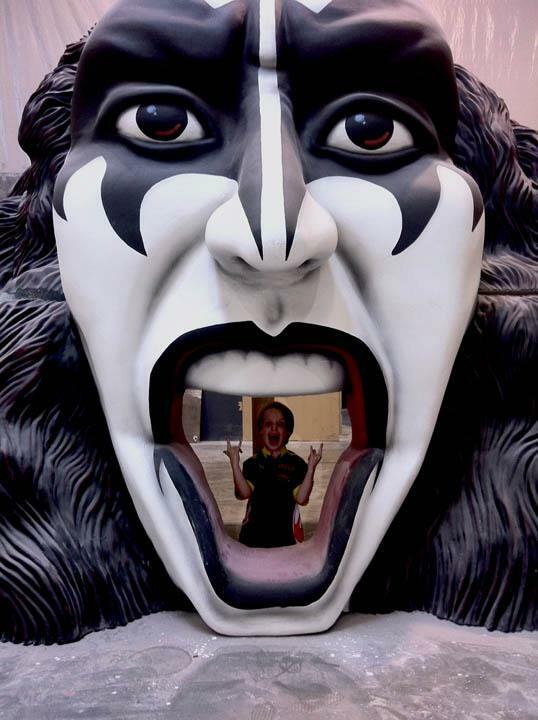 Live Radio Broadcast from KOMP Vegas Rock Radio where you can win FREE tickets for KISS By Monster Mini Golf throughout the day and lots of great prizes! Face painters, games, food and fun all day! 3:00pm ~ Great opportunity to watch the first Wedding couple and their guests arrive in Rock Star Fashion as they enter KISS by Monster Mini Golf for the 1st ever KISS "Hotter Than Hell" wedding! Then, watch the wedding live from our parking lot via video broadcast! 5:00pm ~ The Red Carpet Walk begins! (actually we have a Black Carpet, as this is a Rockin' establishment!) 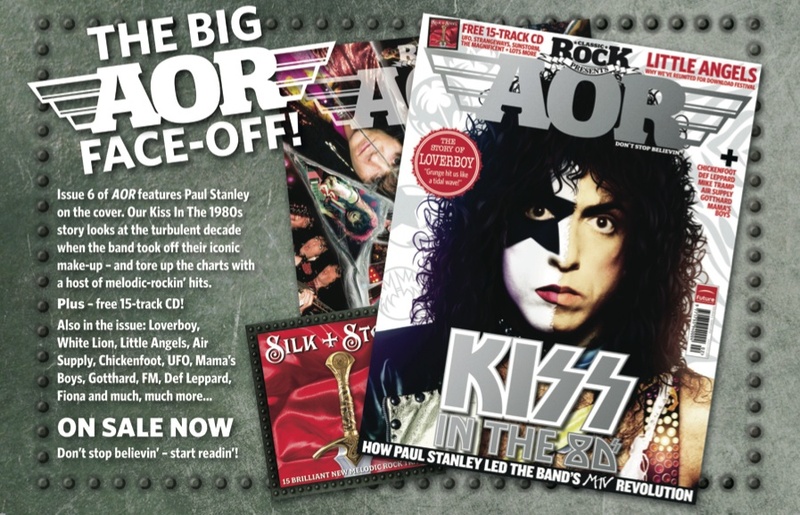 Yes, we're talking Paul Stanley, Gene Simmons and lots of other star studded surprises! 5:00 - 7:00pm ~ VIP Cocktail Party! (For VIP Ticket Holders Only) Chat, eat and drink while you rub shoulders with VIP and stars all inside KISS by Monster Mini Golf with free golfing and swag bags for all VIP's. 7:00pm ~ Doors open to the public! ** We will be selling tickets at the door that night but this guarantees your entry and tee time. We will be open till 2am! Access to our VIP area to watch the Red Carpet walk, then on to the POSH VIP Cocktail Party with VIP’s, stars, and of course... KISS! Monster Mini Golf for 3 months from date of first round! Complete Itinerary will be emailed directly to you. We will be open until 2am and then every day thereafter from 10am till 2am, 7 days a week! Last month in our preview of the third installment of ‘Kiss Meets Archie,’ Archie had been turned into a zombie and it was up to Kiss to save the day. Which, of course, they did! This time around, it looks like Kiss are the ones in trouble — will they be OK? Kiss arrive in Riverdale ready to battle evil with the immortal power of rock music — and that’s exactly what they do, hitting the stage and busting out a version of ‘Rock and Roll All Nite’ for their newest fans. But things quickly turn ugly as some uninvited guests show up at the gig. Is the party over, or will Kiss survive to rock another day? Go ahead and read more about the ‘Archie Meets Kiss’ project here, and then enjoy our preview into the latest issue of this four-part tale. 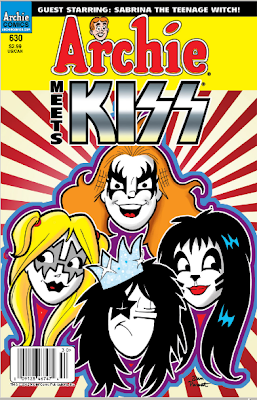 ‘Archie Meets Kiss’ issue four hits comic book store shelves on Wednesday, Feb. 22.